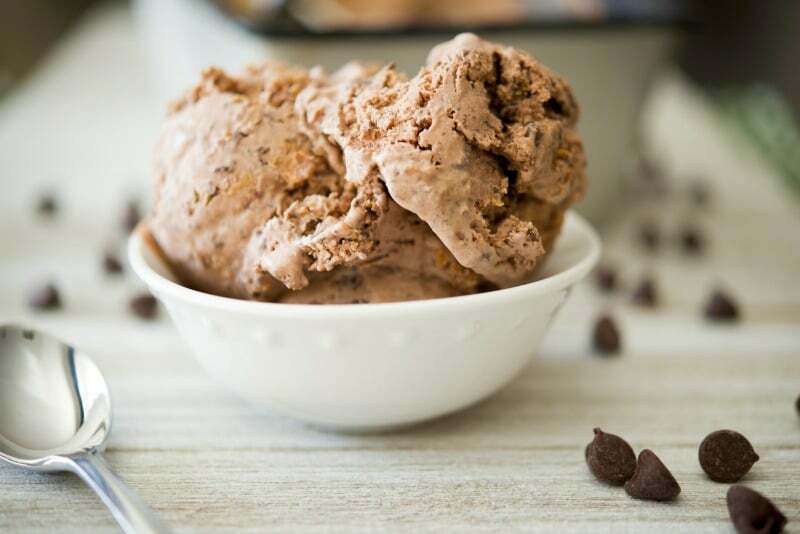 This homemade chocolate ice cream swirled with chopped semi sweet chocolate bits and creamy peanut butter will satisfy any sweet tooth. On February 1st, I celebrated my 50th birthday. I knew it wouldn’t be a momentous occasion because it was on a Thursday, my husband had to work, our oldest daughter was away at college and our youngest was in school; then had to cheer at a basketball game and wouldn’t get home until 9pm. I also found out ahead of time that my husband had arranged a small dinner party with some friends and our daughters the next night, including having my best friend fly in from Texas to spend the weekend so I was looking forward to that. Though turning 50 itself didn’t bother me, I kind of felt off all day because we weren’t doing anything that particular day. (I mean you don’t turn 50 every day right?). In fact, I even woke up in the middle of the night at the exact time I was born, now if that isn’t freaky I don’t know what is! So I planned a day for myself to keep me occupied. I slept in until 7:30am (I’m usually up at 5:45am each day), went for a relaxing massage, did a quick tanning session so I didn’t look pasty white in my black dress for my niece and nephew’s wedding this past weekend, got one of my favorite sandwiches (eggplant parmesan) and ate it at the park; then came home to our carpets being cleaned so I decided to make myself one of my favorite ice cream flavors: Chocolate Chocolate Chip Peanut Butter Swirl Ice Cream. You all know that I’m not a huge fan of ice cream, but there are certain flavors I just love and the combination of chocolate and peanut butter is one of them. 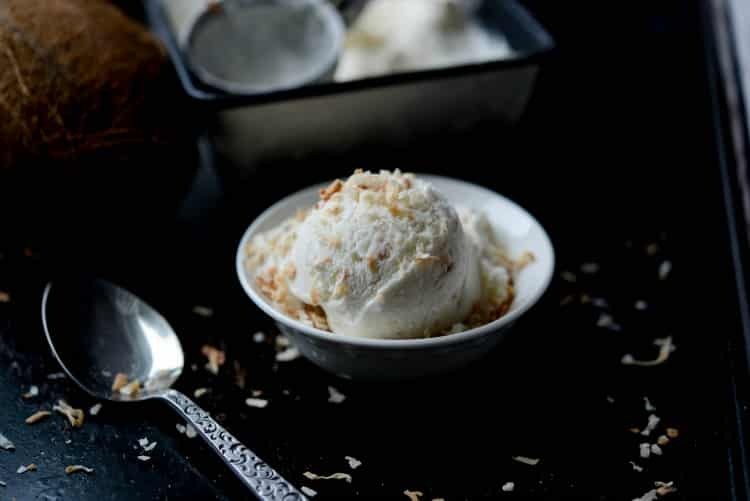 Just a half cup serving is all you need with this recipe because let me tell you it’s so rich and creamy. 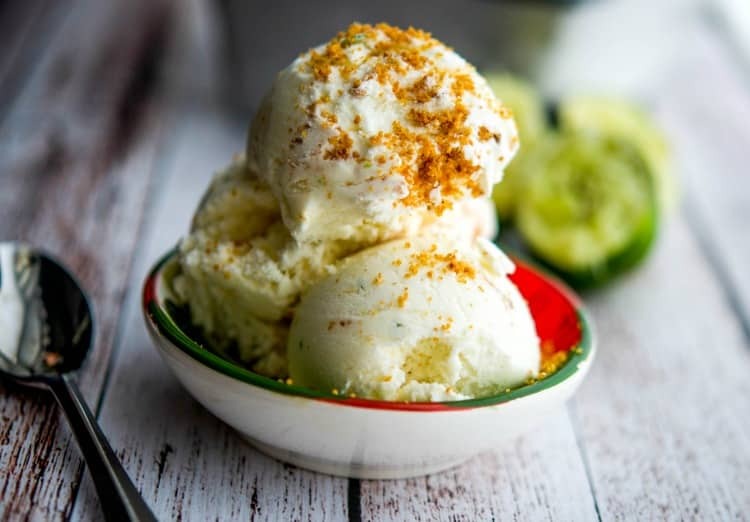 I was going to make myself a birthday cake with it, but daylight was escaping me and I didn’t have time to do those extra steps and take a photo, so I just made the ice cream. 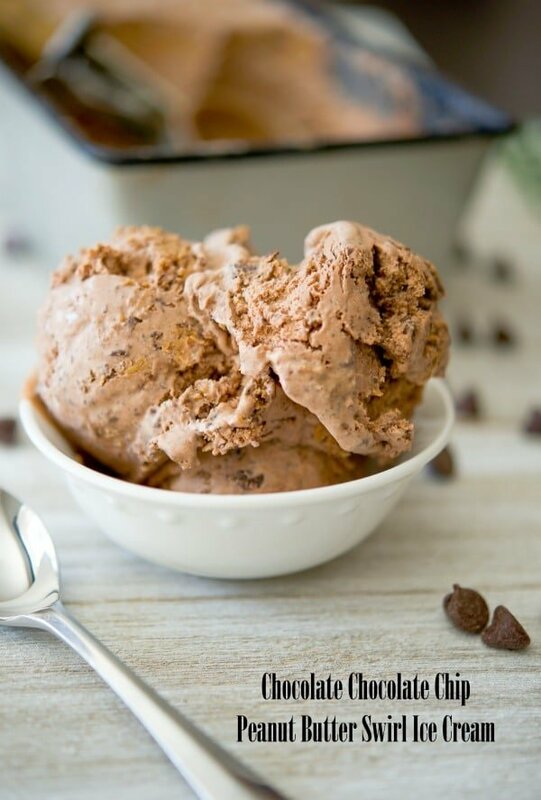 For this recipe, you’ll need an ice cream maker (make sure the insert is already frozen), heavy cream, sugar, vanilla extract, cocoa powder, semi sweet chocolate and creamy peanut butter. Start by combining the heavy cream, sugar, vanilla and cocoa powder in a large bowl and mix until the sugar has dissolved. Next, chop the chocolate into small pieces; then add it to the cream mixture and stir. 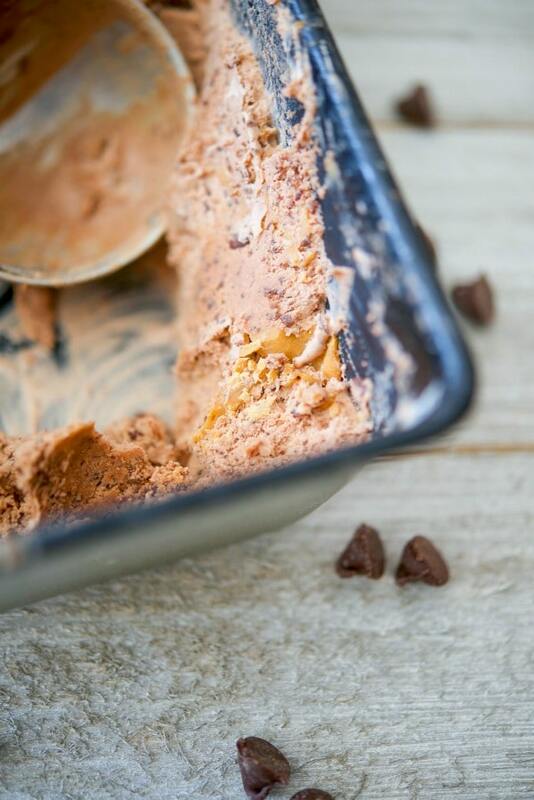 Pour the mixture into the ice cream maker insert and allow to run for 30 minutes; then melt creamy peanut butter in a small bowl in the microwave until smooth. 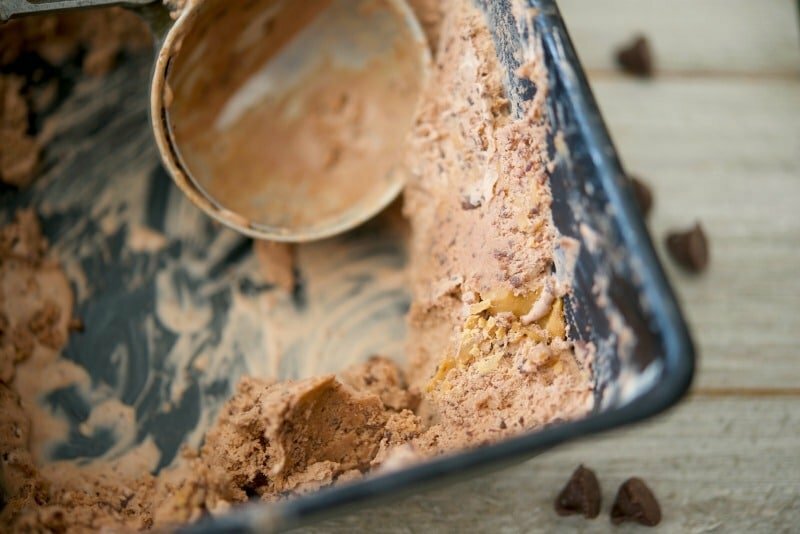 Finally, place half of the ice cream into a loaf pan or container, drizzle some of the melted peanut butter on top and swirl with the tip of a knife. Repeat for the second layer; then cover tightly and freeze for a minimum of 2 hours to allow the ice cream to harden; then serve when ready. 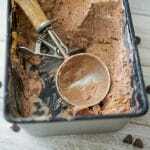 OMG this Chocolate Chocolate Chip Peanut Butter Swirl Ice Cream was AMAZING and makes twelve half cup servings. 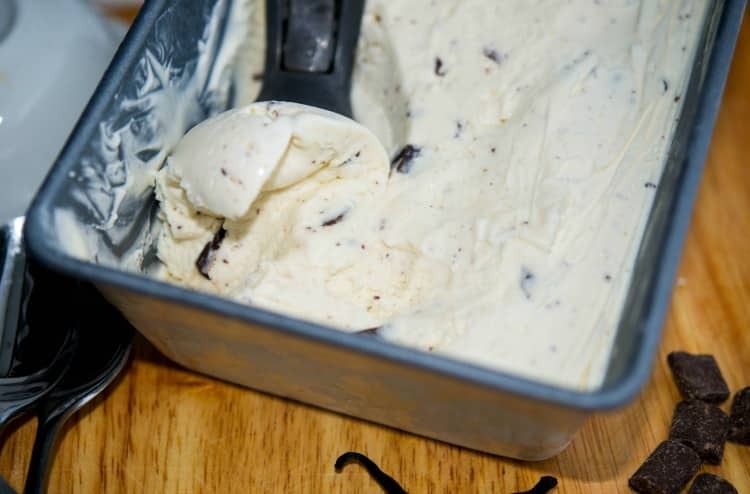 I don’t know which was better, this ice cream or the super chocolatey cake with ganache icing I had at my birthday dinner at Ninety Acres the next night. Good thing birthday’s only come once a year! ~Enjoy! Start by combining the heavy cream, sugar, vanilla and cocoa powder in a large bowl and mix until the sugar has dissolved. 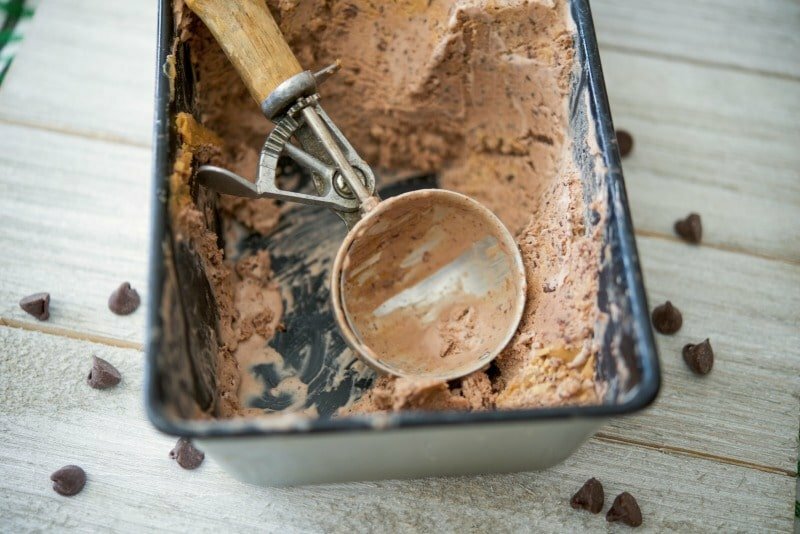 Finally, place half of the ice cream into a loaf pan or container with a lid, drizzle some of the melted peanut butter on top and swirl with the tip of a knife. Repeat for the second layer; then cover tightly and freeze for a minimum of 2 hours to allow the ice cream to harden; then serve when ready. *Allow for at least an additional 2 hours for ice cream to harden.